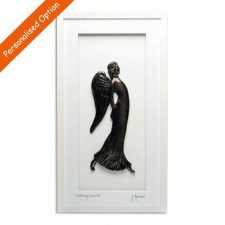 Do you know a woman who loves angels? 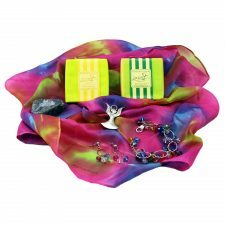 Or maybe someone needs a little love and sympathy sent their way, this is a wonderful Angel Gift Box for Women of all ages. 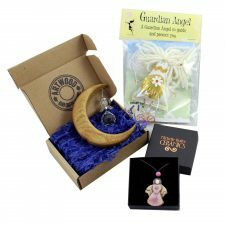 All the products in this Angel Gift Box for women are handmade in Ireland. 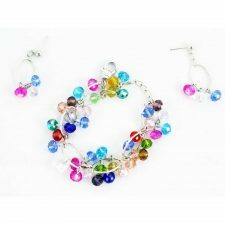 Multi-coloured Crystal Bracelet & Earrings, handmade by Perrywinkle, Co. Dublin. A stunning crystal jewellery set of bracelet and matching earrings. 39 crystals in total on the bracelet, hanging from six linked oval metal pieces, plus an extender chain. Colours include pink, blue, green, yellow, turquoise, mauve, clear and red. 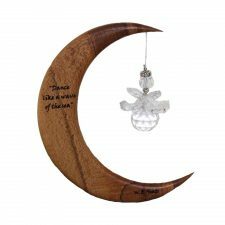 3 crystals per earring hanging from an oval metal piece, colours are pink, blue and clear. A beautiful piece of Irish Jewelry. 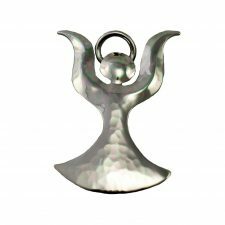 This very special Angel Brooch is handcrafted in alpaca silver and has a slight textured feel, which also gives it a lovely reflective look. Approx dimensions: 3 cm by 5 cm. 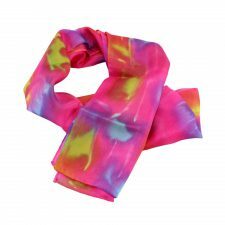 Silk Scarf handmade by Hazel Greene, Co. Offaly. Organic Soaps, handmade by LizzieB, Co. Kildare. Lemongrass and Poppy Seed Soap – with essential lemongrass, poppy seed is also added as a gentle but t effective exfoliant, ideal for fake tan users but a must to keep tired skin nourished and refreshed. Peppermint – the essential peppermint oil is wonderful to deodorise and disinfect, leaving skin silky soft and smelling gorgeous. 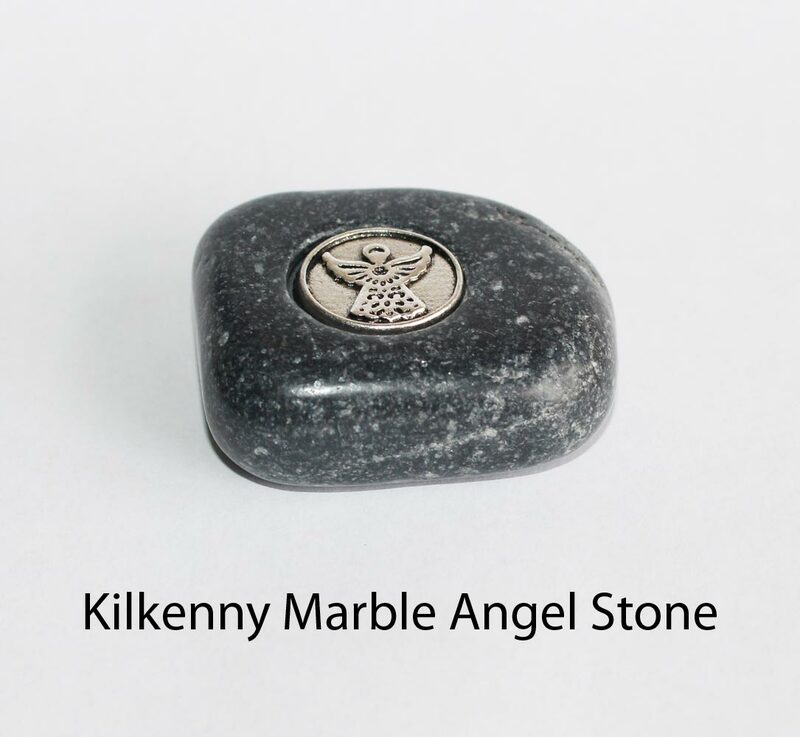 Angel Kilkenny Marble, handmade by J.C. Walsh, Dublin. 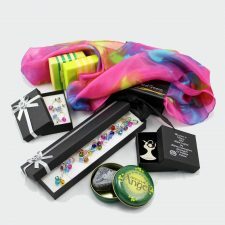 Fabulous Angel Gift Box for Women.